Emerging T.O. 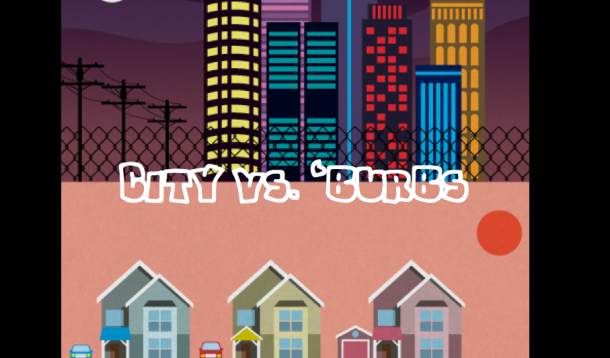 : Are Suburbs Always Cheaper? Let me be clear. 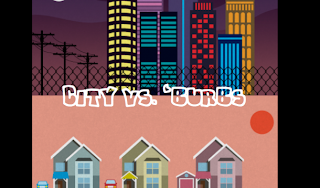 This is not a rant about the superiority of the city or that living in the suburbs is bad and doomed existence, but it is an attempt to clear up some misconceptions about the cheapness of living in the suburbs. Now, before I dig into the cost of living in the suburbs vs. the city, let me put my cards on the table. I'm a real estate salesperson, and it would be very tough to do my job without a car. Though I am a city dweller, I do spend a lot of time on four wheels, and I have grown to adore, and even love, my auto. I do have that much in common with my suburban breathren. But that's about it. Don't get me wrong. The suburbs have their perks, and for those of you who appreciate those suburban perks, good on you. You made the right decision to live there. The traffic is easier, the home is bigger and maybe your friends and family live near by. Can't argue with that. Aside from those who love and want to live in the suburbs, there are those who want to live in the city, but feel they can't afford to live here, and head to the suburbs. And that may be a mistake. Moving to the suburbs is not always less expensive. If you simply compare property prices, it's true. No one can deny that! On average, homes in Toronto are $250,000 more than the suburbs. That's a good chunk of change that you don't always have or would rather spend somewhere else. But comparing houses to houses is not always the best way to look at it. Because when you live in the burbs, your costs of other things required to live comfortably are higher. The big factor is the car. In the suburbs, because of the low level of transit and because of the culture of the burbs, there is usually two cars per family. In the city, it's a lot less. Sometimes no car is required at all because it's easier, and sometimes faster, to use public transit in the city. On top of that, most suburban folk work in the city. So, they spend a lot more on insurance, gas and car wear and tear. Though I do love cars, they are the worst investment in the world. They don 't make you any money and the start depreciating very quickly right away. Another factor to take into account in the appreciation factor. I'm not talking about your car this time. I'm talking about your home. There's no denying that prices have increased at a far quicker rate in the city than outside of it. So, a purchase in the city has, for several decades, allowed the owner to grow their equity over the long haul. The value of a home in the suburbs has just not appreciated as much as in the city, on average. Then there's property taxes. Since your house is worth more in the city, people assume you pay more property taxes. The truth is, Toronto has some of the lowest tax rates in the region. Plus, in the future, when infrastructure problems really need repairs, cities, with their dense population, will have a larger tax base to pull from. They can spread the cost out between more people. Suburbs, with their low density will have to fix streets and waterlines with a smaller pool of people. So, the cost will be spread out among fewer people and in turn, become more pricy. Of course, the city is no longer as straight forward as it used to be. Scarborough can function more like a city than a suburb in some parts. Etobicoke is rapidly becoming more city than suburb. And then there's places like Hamilton that function as a city but also a suburb to Toronto. Those places are not so clear cut, and will likely function more like a city in the years to come. So, with that said, make sure you factor in all costs when you feel you have to leave the city to head to cheaper and far away locations. In the long run, you may not be saving yourself a whole lot of money.